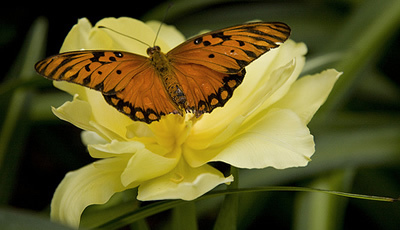 Certain butterfly species will be abundant in your region. 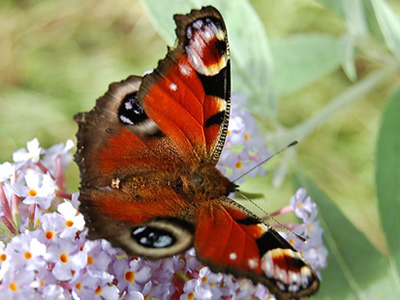 Getting to know which ones are most prominent and which rare ones could be spotted in your area can help you select flowers that are more likely to attract butterflies and moths. With fifteen to twenty thousand different species in the world, there are a lot of possibilities. If you have a spot in your garden that tends to be sunny for at least several hours a day while also being relatively sheltered from the wind by hedges or fencing, this can be a good spot to choose for sun-loving plants that butterflies like. Water is important, too. If you have a small pond or birdbath in the butterfly garden area, this can help attract butterflies as well. The best way to attract butterflies and moths is with the right food source for them. Butterflies eat plants and if you plant the flowers butterflies find delicious, they will probably come. Quite a few perennials are considered delicious by butterflies, meaning that you’ll plant them once and they’ll come back each year and attract the butterflies. And more. If you want a specific color pattern or have the type of yard that won’t support growth of some of the above plants, there are many options and you’ll even find butterfly mixes that are especially formulated for attracting butterflies. Having fruit trees on your property will help you bring in butterflies, too, but when you decide to work to attract butterflies, you’ll have to forgo pesticides, which can mean a bit of a challenge in keeping your fruit trees cleared of bugs so you’ll want to eat the fruit. Some people consider them a fruit source for their butterflies and a food source for fruit bats that can help keep night-time insects away rather than planting fruit trees for pies and jams. It’s wise to look at your options for fighting insects naturally, especially in a way that won’t repel butterflies. Many butterfly enthusiasts find that regular spraying of their flowers can keep aphids to a minimum and some people release ladybugs into their garden to be helpers, as well. Many of the flowers you could plant will also attract hummingbirds so be sure to set up a hummingbird feeder too and set up a great seating area to spend time in for your butterfly and bird-watching. Once you’re set up, caring for your butterfly garden just means that you’ll take care to keep things clean, weeded, and watered. Some butterfly species are on the verge of extinction so your hobby of attracting them to a butterfly-friendly habitat could be helpful as well as fun! Love your ideas! We are updating the garden around the pool, and I was thinking of planting butterfly-friendly flowers. Do you know if they also attract bees? I enjoy watching the large yellow swallowtail butterfly. I've seen them in the Sierras. Do you know which plants attract those? What a great post----one day I will do this!